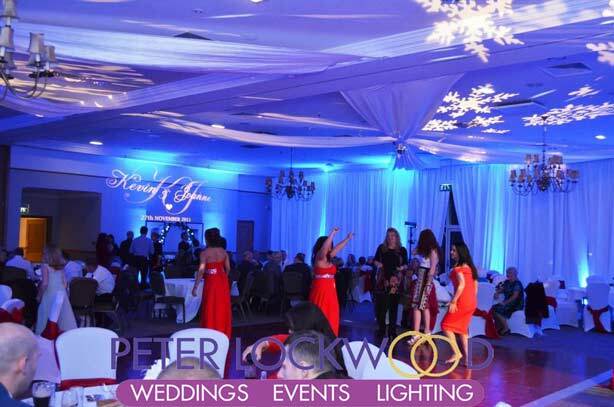 Kilhey Court Wedding UpLighting. Set in a manor house next to Worthington Reservoir, this Victorian style Hotel. Surrounded by landscaped gardens, perfect for my outside lighting. 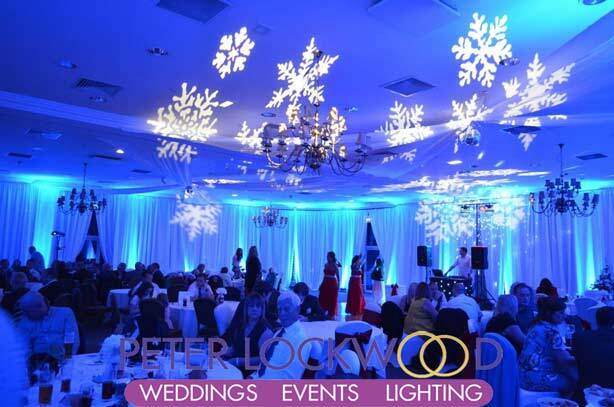 In the pictures below, I provided Winter Wonderland Wedding lighting in the Lakeside Suite this includes 4 snowflake projection lights, wedding monogram and 24 blue mood lights. 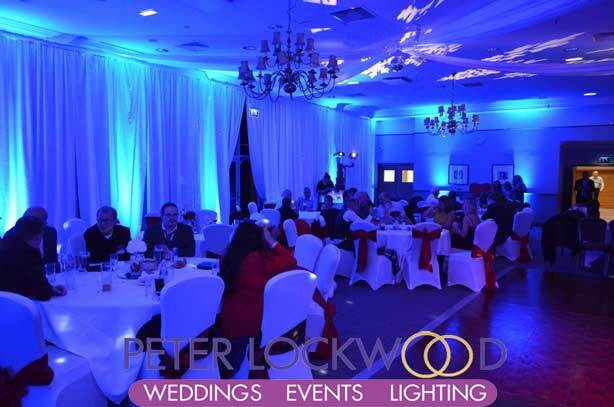 This fully transformed the Lakeside Suite at Kilhey Court in to a winter wonderland paradise. You don’t have to have blue mood lighting. I can provide most colours with my wedding lighting services. 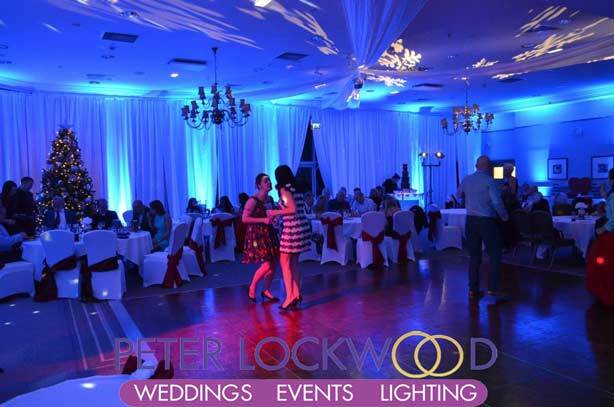 Kilhey Court Wedding UpLighting, Backdrops and Draping please get in touch for a quote for your Wedding.